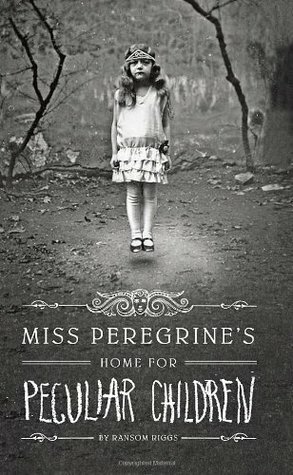 I am currently reading and listening to Miss Peregrine's School for Peculiar Children by Ransom Riggs. "I had just come to accept that my life would be ordinary when extraordinary things began to happen. The first of these came as a terrible shock and, like anything that changes you forever, split my life into halves: Before and After. Like many of the extraordinary things to come, it involved my grandfather, Abraham Portman. Growing up, Grandpa Portman was the most fascinating person I knew. He had lived in an orphanage, fought in wars, crossed oceans by steamship and deserts on horseback, performed in circuses, knew everything about guns and self-defense and surviving in the wilderness, and spoke at least three languages that weren't English. It all seemed unfathomably exotic to a kid who'd never left Florida, and I begged him to regale me with stories whenever I saw him. He always obliged, telling them like secrets that could be entrusted only to me." This is one book I've meant to read, but haven't. I do like the intro so I'm going to move it up the list. enjoy Sarah. Same here. It has definitely grabbed me. I'm looking forward to where it takes me. Oh I hope you like this -- It was good read. I want to read this one too. Maybe audio is the way to go. The audio is very good but there are some photos referred to in the story so the print version is good for that. I think some audio versions are enhanced and include the pictures with it so be sure to do that if you do go with audio so you don't miss out. Great opener. I hope you're enjoying it. Yes I am finding it interesting. Thanks. She has a wonderful grandpa. Never had the chance to meet either of my grandfathers. They had died. I have had this one on my list for a long time! I'm not sure why I haven't acquired it yet, but thanks for putting it on my radar again. I want to read this! I think I may have a copy on my Kindle waiting its turn to be read. I love the intro. Who wouldn't want to have a grandpa like that? I've seen this book featured on lots of blogs but haven't gotten around to reading it yet. It sounds like a delightful story. I have seen this title a lot. Just never got around to picking it up or even checking out the publishers blurb. I will now, it definitely caught my interest. Thanks for sharing. I haven't heard about this book, but it sounds really good.